Time is the most precious commodity, but just how precious is the time of you and your loved ones? For a lot of us there just aren’t enough hours in the day and this brings added pressures to create what should be a happy work life balance. Does your partner always come home late because they are trying to run their business single handed? Is your friend struggling to fit everything into a busy family life? Are you left feeling helpless because you have your own stuff to do? If you are looking for ways to help, then why not have a look at what DoMyStuff could do to alleviate their workload. 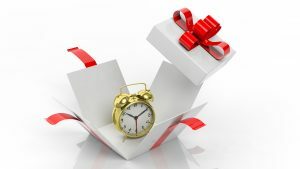 You could buy them a gift with a difference, THE GIFT OF TIME. For as little as £20.00 you could buy an hour of my time and I can let them choose how they wish to use it. It could be something as simple as ironing their shirts for the week or running some errands for them through to helping someone with their business, perhaps building a customer database or clearing a pile of admin. Think of me as those extra hours in the day and the person that will make yours and your loved ones lives easier. It’s really that easy! Just Contact Me to find out more and to discuss how I can help.